The GC20618-1CX is a specialist thick thread sewing model, derived from the time served Highlead GC20618 series, for stitching with thread sizes up-to metric size 10. Its dedicated thick thread handling capability is useful for decorative stand-out stitching and stitching with extra mechanical strength. Double the maximum usable thread thickness when compared with other models in its class. 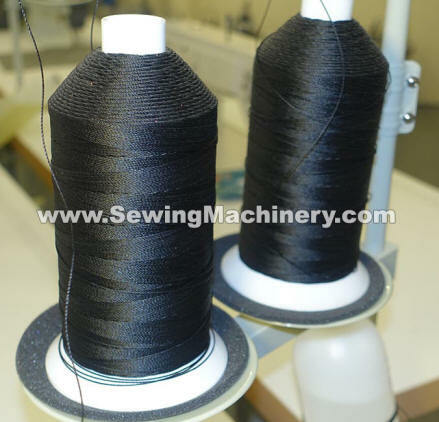 Conventionally thicker thread sizes, for example 10 & 12, would be used to stitch extra heavy items that required an expensive, and often difficult to use, extra heavy model. 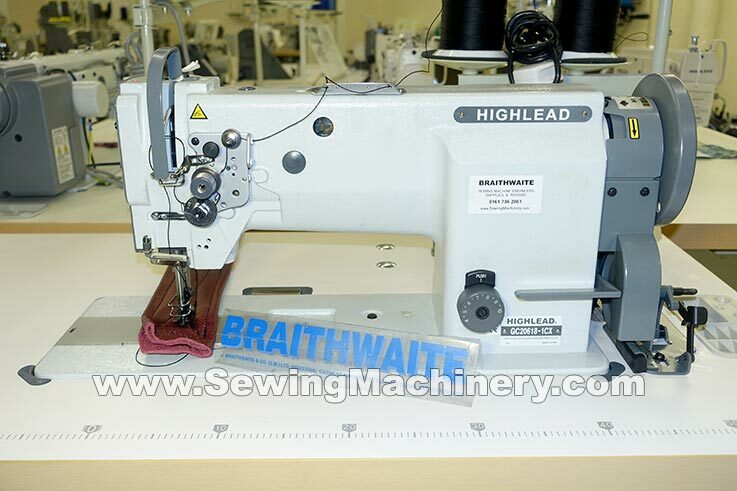 The Highlead GC20618-1CX, in comparison, now allows the use of these thicker threads in a sewing machine manufactured to stitch medium-heavy weight materials. A stitch length of up-to 10mm is available for functional and decorative stitching, plus the presser foot has a high clearance of up-to 16mm.